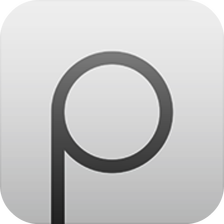 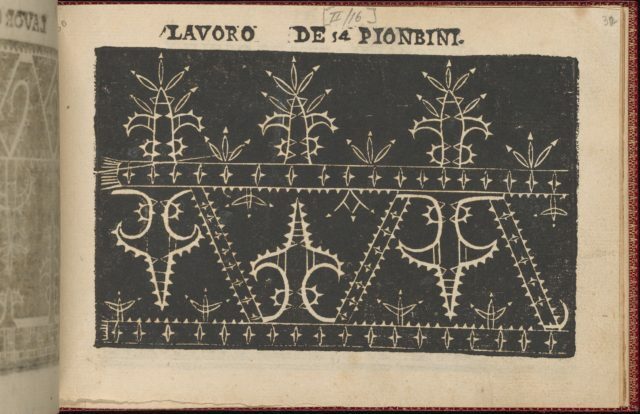 Designed by Isabella Catanea Parasole, Italian, ca. 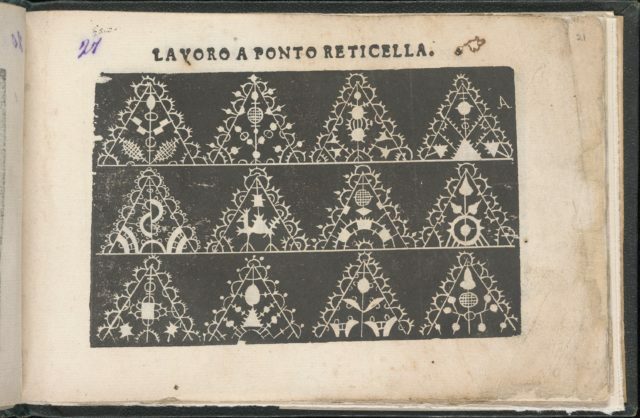 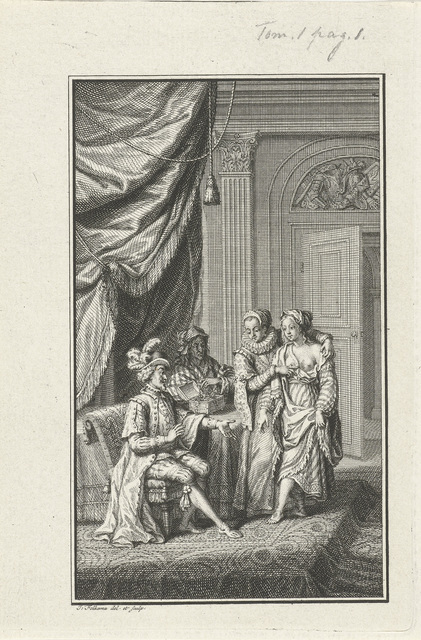 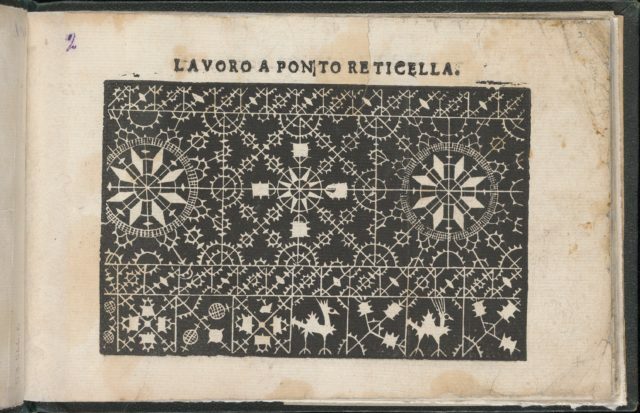 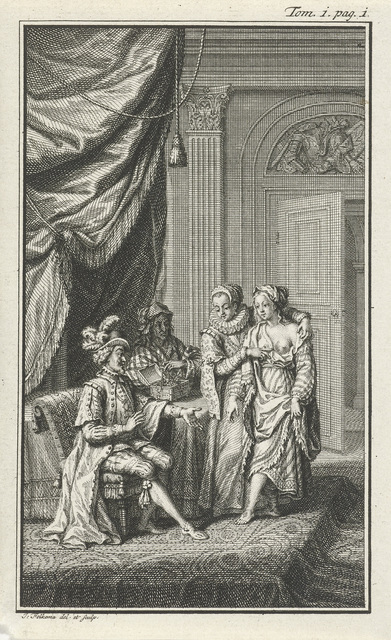 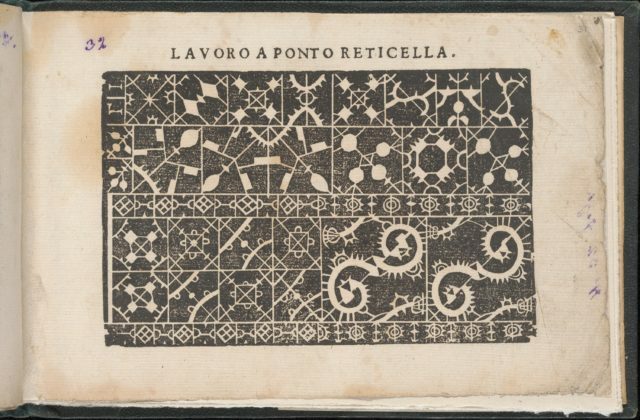 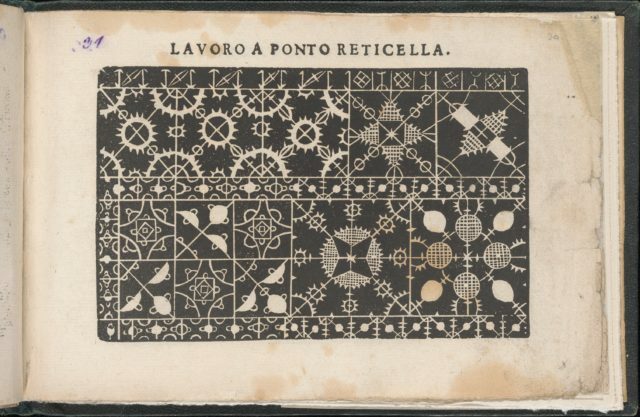 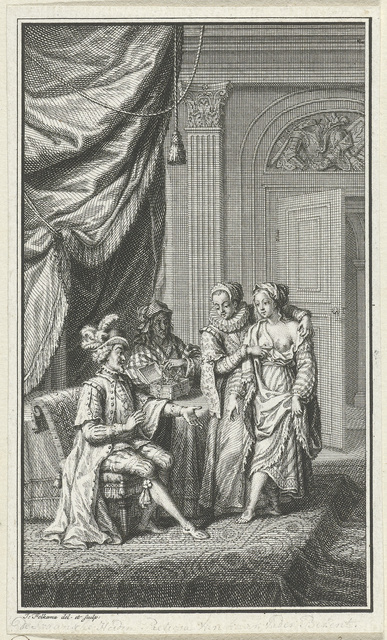 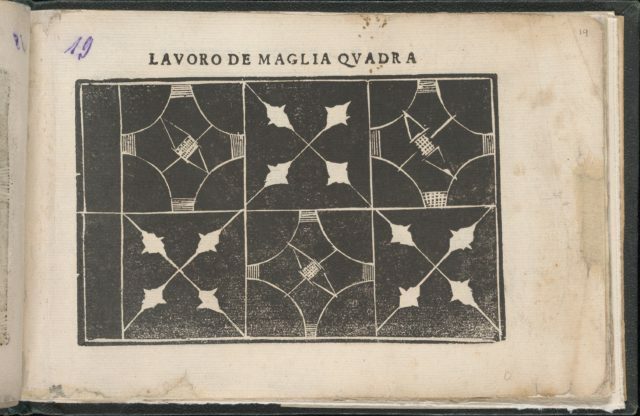 1575-ca.1625, published by Gugliemo Facciotti, Rome.From top to bottom, and left to right:Design composed of 2 horizontal registers. 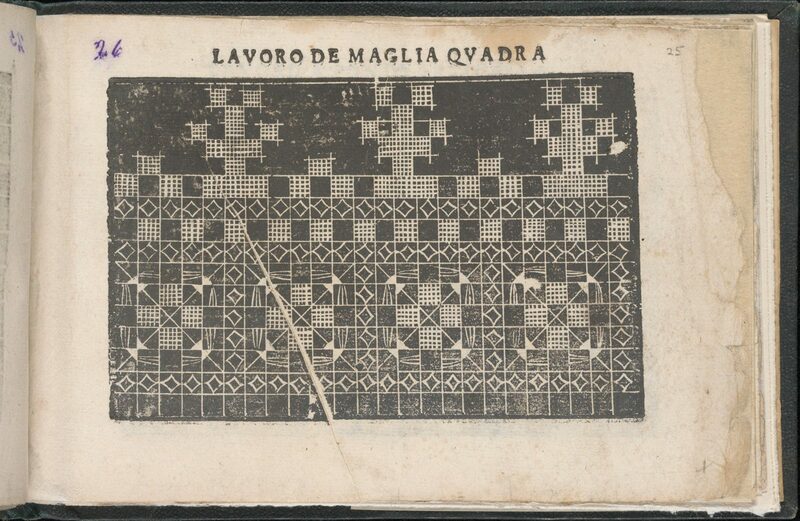 Top register is decorated with 3 tree motifs that are formed by gridded squares. 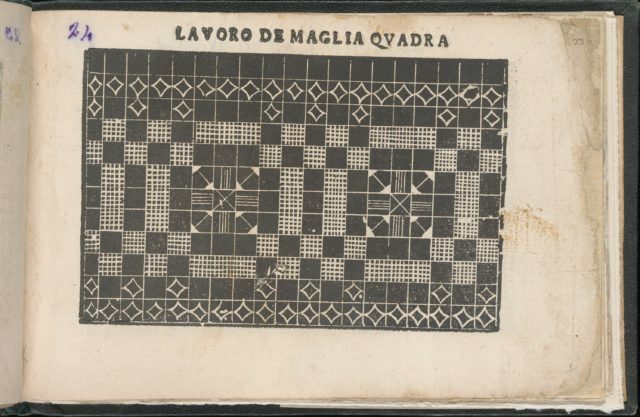 Bottom register is decorated with 4 rounded square motifs that are ornamented with triangles and gridded squares; each square is surrounded by a border of white diamonds.